You can almost instantly tell a dark elf by their weapons. Wicked yet graceful, this Dark Elven LARP Longblade is a stunning weapon with an eerie look that seems all too capable of slicing cleanly through the stoutest of defenses. Keeping to the traditional style of elven weaponry, this fantasy-inspired blade has a gentle curve along its edge, creating the look of a fearsome scimitar. The hilt features a D-shaped guard that echoes the blades edge. It is crafted from an extremely durable foam that does not shred, which has been sealed within a strong coating of latex. As safety is always a concern in LARP, this weapon also features a round, flexible fiberglass core that bends and flexes. The core also features a durable Kevlar cap for added protection, both against the core and for when the weapon is used to stab. 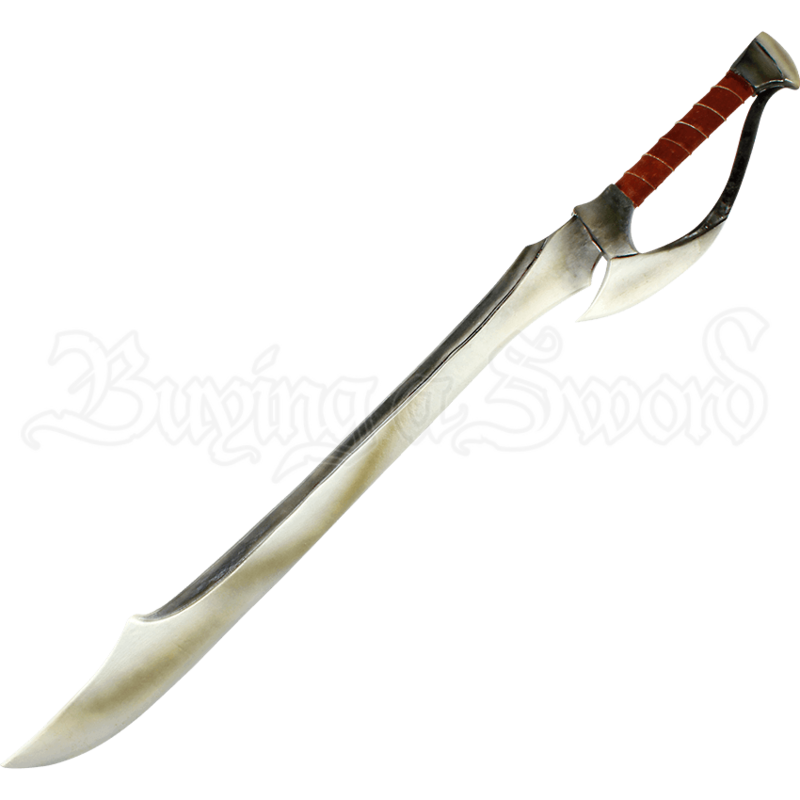 The Dark Elven LARP Longblade has an average overall length of approximately 43 inches. Please be aware that measurements may vary slightly, as it is a handmade item.